www.hwacheon.com SMART SOLUTIONS for perfect machining Fast Flexibility. Capability. None better. 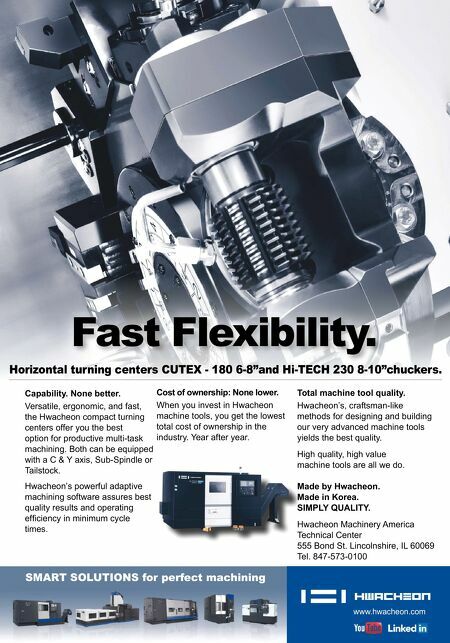 Versatile, ergonomic, and fast, the Hwacheon compact turning centers offer you the best option for productive multi-task machining. Both can be equipped with a C & Y axis, Sub-Spindle or Tailstock. Hwacheon's powerful adaptive machining software assures best quality results and operating efficiency in minimum cycle times. Cost of ownership: None lower. When you invest in Hwacheon machine tools, you get the lowest total cost of ownership in the industry. Year after year. 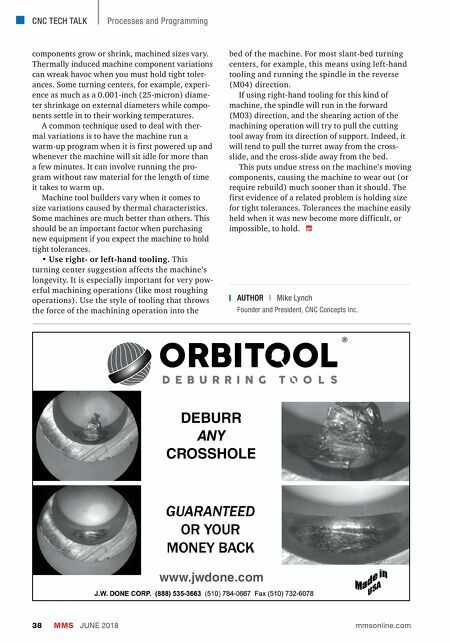 Total machine tool quality. Hwacheon's, craftsman-like methods for designing and building our very advanced machine tools yields the best quality. High quality, high value machine tools are all we do. Made by Hwacheon. Made in Korea. SIMPLY QUALITY. Hwacheon Machinery America Technical Center 555 Bond St. Lincolnshire, IL 60069 Tel. 847-573-0100 Horizontal turning centers CUTEX - 180 6-8"and Hi-TECH 230 8-10"chuckers.